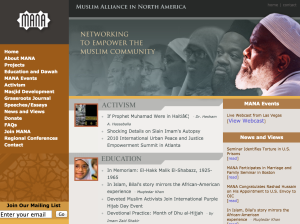 Luqman Ameen Abdullah was on the board of the Muslim Brotherhood’s MANA (Muslim Alliance in North America) led by jihadi Siraj Wahhaj. MANA’s Executive Committee includes leading Muslim Brothers Ihsan Bagby, Altaf Hussein, Johari Abdul Malik, and others. Abdullah was also the Imam of the Masjid Al-Haqq and a leader of a group called the “Ummah,” a brotherhood seeking to establish a separate state within the U.S. that would be ruled by Sharia law, the U.S. attorney’s office in Detroit said at the time. The leader of Ummah is H. Rap Brown (aka Jamil Abdullah al-Amin), now in prison for murdering two police officers in Georgia. He was a leader in the Black Panthers in the late 1960s into the 1970s. Once again, hard-left meets jihadis. 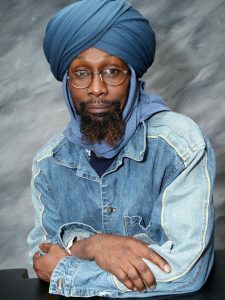 When the FBI raided the Masjid Al-Haqq mosque in the Detroit area in October 2009, Abdullah was shot dead by FBI agents after he open fired on the agents killing a police dog. Six others were arrested during the raid. The criminal affidavit for the search and arrest warrants stated Abdullah advocated “violent jihad” to overthrow the United States and impose sharia. One of the informants (S-1) in the case testified he/she participated and witnessed martial arts and firearms training inside the mosque – Masjid Al-Haqq. Needless to say, the Islamic leaders in the United States did not condemn Imam Luqman Abdullah, they defended him and condemned the FBI and law enforcement. A Muslim Brotherhood leader and mosque was advocating violent jihad in order to establish an Islamic State under sharia (Islamic Law). There was firearms training INSIDE the mosque (as UTT has reported on numerous occasions goes on inside mosques across America). The jihadis did what they said they would do and open fired on FBI agents and police during the raid. 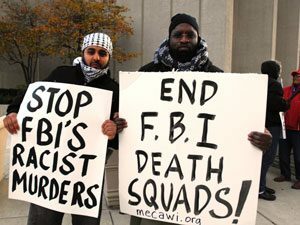 The Muslim community across the United States were “outraged” Abdullah was “murdered in cold blood” by the FBI and the usual suspects like Hamas (dba CAIR) and others came to the rescue and continue to attack the FBI. In a USA Today article, the FBI leadership admitted they were working with Muslim Brotherhood organizations during this time period. Bring UTT’s Training to your town. UTT is the only organization in America with a 3-day program for Law Enforcement that shows them how to proactively locate jihadis, map out the jihadi network, and create investigative strategies to rip out the jihadi network from your neighborhood. We also have 1-2 day programs for citizens. Support UTT Financially. Donate on our website to support bringing a training program to your area or to generally support the work of UTT. Sponsor a law enforcement officer to attend UTT’s Train the Trainer program.